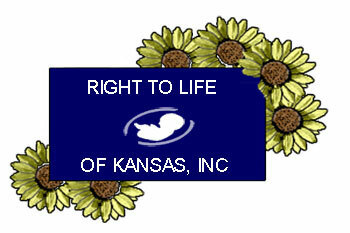 Kansas law defines murder as the killing of a human being. Science has shown us that a new human being exists from fertilization. Every act that terminates this innocent little human being’s life, be it by surgical abortion, chemical abortion via RU486, chemical abortion via so-called contraceptives, or destruction of ‘leftovers’ from the IVF procedure, is an act of murder!! HOW MANY MURDERS HAVE YOU HELPED PAY FOR TODAY?? Kansas taxpayers are required to pay for programs such as Medicaid, the health plan for the disadvantaged, and Healthwave, the health plan for children up to age 19. The state pays most of the health insurance premium for its employees. All these plans cover so-called ‘family planning services’, which includes abortion and contraceptives. It’s time Kansans rise up in protest and demand that the great state of Kansas quit helping keep people such as Planned Parenthood in Overland Park, as well as others, in business. The American Life League Report has produced video blips (for adult viewing) which clearly illustrate Planned Parenthood’s position at the forefront of the pro-death movement. Yet the State of Kansas disburses hundreds of thousands of dollars each year to this tax-exempt enterprise whose operations include the distribution of censored material to children. Insist your legislature quit approving these expenditures! In years prior to the Capitol Building renovation work, Right To Life of Kansas delivered a fresh red rose to each of our Kansas Senators and Representatives on the morning of January 22 in order to commemorate the anniversary of the Abortion Holocaust. The red rose, beautiful, distinctive, and symbolic of life and unity, is recognized as a powerful tool to carry to our lawmakers our message of respect for all life from the moment of conception to natural death. View pictures from a previous year’s distribution of roses in our online photo gallery. We plan to resume this tradition in a future year.